Come to stay at our farmhouse Bed and Breakfast for a relaxing countryside break. 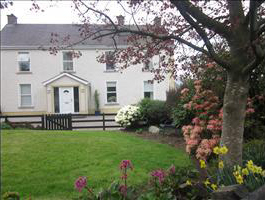 Situated one mile from Omagh and convenient to Sperrins and Ulster American Folk Park. Tennis, golf, leisure centre nearby.Stay in our luxurious double room with dressing room and bathroom (bathrobes supplied). Delicious breakfast made using local produce, own free range eggs.